As many of you are aware, today, February 18, 2013, is President’s Day. For many that means banks are closed and, more importantly, work is closed. For many others, like me, President’s Day really just feels like another day. However, this President’s Day is special thanks to McDonald’s. Like most of the country, on my drive into work this morning, I heard about McDonald’s special President’s Day promotion. Specifically, if a customer purchases a Big Mac or Quarter Pounder, a second delicious sandwich can be purchased for a penny. Why did McDonald’s charge a penny, rather than just giving it away for free? Perhaps, the corporate executives at McDonald have read my riveting state and local tax blog last week. For the few of you that did not read my blog I did last week, I wrote about the power of the sale for resale exemption offered by most states in their sales and use tax regime. In a nutshell, this means that when a business purchases something it does not pay tax but rather charges tax to its customer when the item is resold. The policy behind the sale for resale exemption is that sales and use tax attempts to tax consumption by adding a tax to purchases made by the end consumer of a good or service. While each state varies as to exactly what is and is not taxable, every state that I am aware of has a sale for resale exemption. Conversely, if the business is the end user on items it purchases it owes a use tax on those items. The sale for resale exemption can be a very powerful multi-state sales tax technique if used correctly. 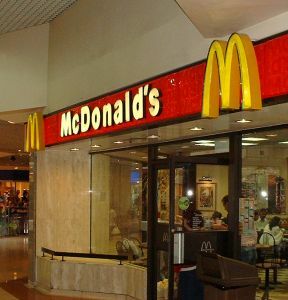 Putting this in context with the McDonald’s President’s Day Promotion, if McDonald’s charges a penny for the second Big Mac or Quarter Pounder, then it does not pay tax on its purchases of Big Macs and Quarter Pounders, but rather the customer pays tax on its purchase price of $0.01. Conversely, if McDonald’s gave the second sandwich away it would arguably owe a use tax on all of its purchases of the “promotional” Big Macs and Quarter Pounders. One could easily assume that the daily sales of Big Macs on a national level are quite substantial. Did McDonald’s implement this $0.01 Big Mac sale as a sales tax savings strategy? In some states, it actually may have. In many states, like Florida, if there is a BOGO sale and the “free” item is transferred “in connection with the purchase of other TPP” then it is being sold and the sale for resale applies. Still in other states, if the item being sold is exempt from tax then use tax is owed on the item given away in connection with the tax free item. What items are sold in connection with another? How does a taxpayer under a sales and use tax audit prove which items were sold in connection with others? As is readily apparent, in a multi-state business that subjects itself to many rules within a state and many states with different rules, whether the “free” item is subject to use tax or not can become complicated in a hurry. Further, most states have some form of a rule that if the taxpayer cannot show which items were given away and which items were sold as part of a promotion, the state will assess the use tax until proven otherwise. The obvious question arises – why not just charge $0.01 instead of giving it away for free. This seems to eliminate the problem altogether. If McDonald’s does have sales and use tax on its mind, then charging $0.01 for the second Big Mac is an ingenious tax planning technique that many customers do not mind paying for. About the author: Mr. Donnini is a multi-state sales and use tax attorney and an associate in the law firm Moffa, Gainor, & Sutton, PA, based in Fort Lauderdale, Florida. Mr. Donnini’s primary practice is multi-state sales and use tax and is a co-author in The CCH Expert Treatise Library: State Sales and Use Taxation. He also is heavily involved in state corporate income tax controversy. Mr. Donnini also practices in the areas of federal tax controversy, federal estate planning, Florida probate, and all other state taxes including communication service tax, cigarette & tobacco tax, motor fuel tax, and Native American taxation. Mr. Donnini is currently pursuing his LL.M. in Taxation at NYU. If you have any questions please do not hesitate to contact him via email or phone listed on this page.